Light and bright, with western sunset views. 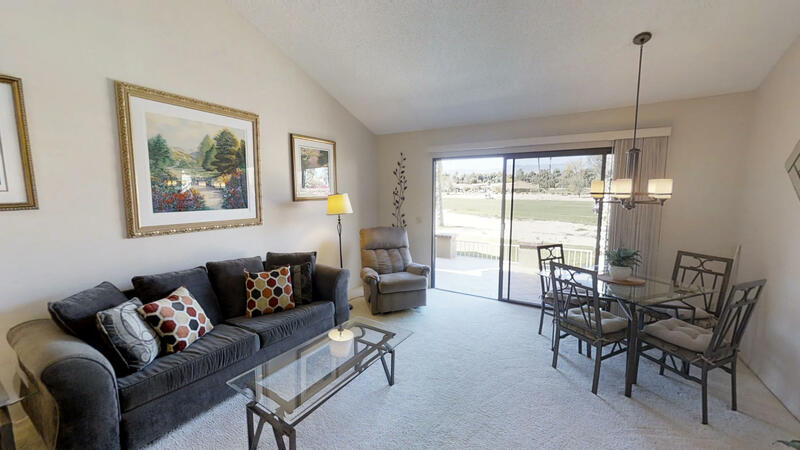 This 821 square feet, 1 bedroom golf course condo comes with 2 bathrooms and a 2 car attached garage. 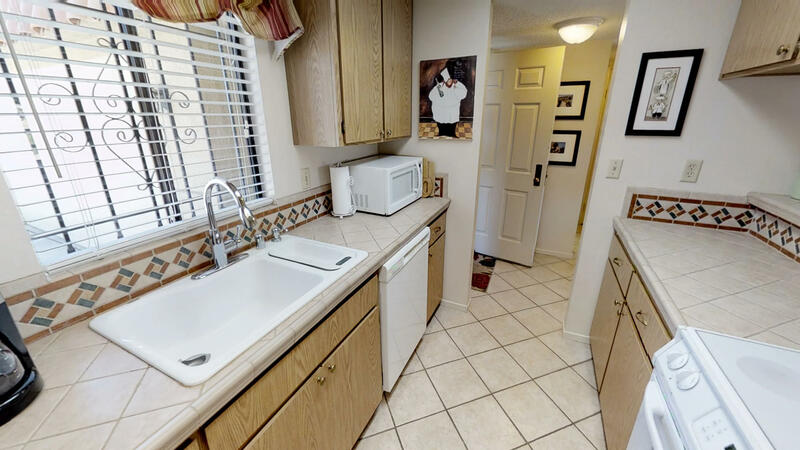 Decorated in tasteful neutral tones with a tile floor in kitchen, entry and bathrooms, newer carpet in bedrooms and living/dining room, custom window coverings, raised vanities, newer tile counters, toilets, shower doors and sinks in bathrooms and newer tile counters and sink in kitchen. Large master suite with walk-in closet and ensuite bathroom. 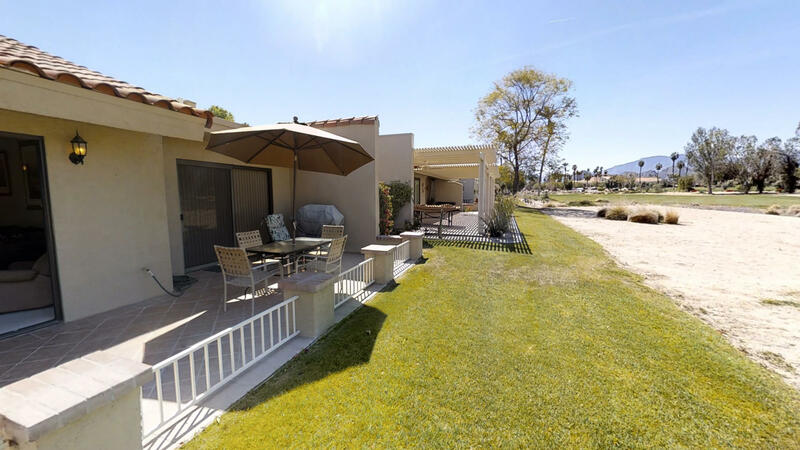 Fabulous views of the golf course and Santa Rosa Mountains from the extended west facing rear patio. 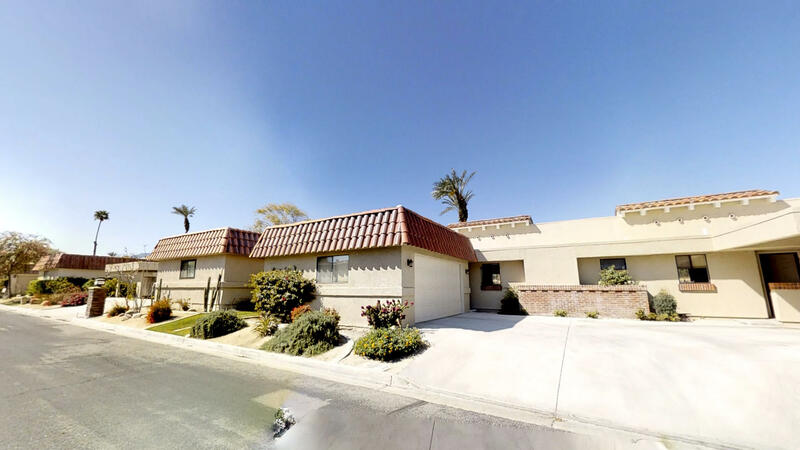 This immaculate unit is a gem and the perfect desert vacation home. 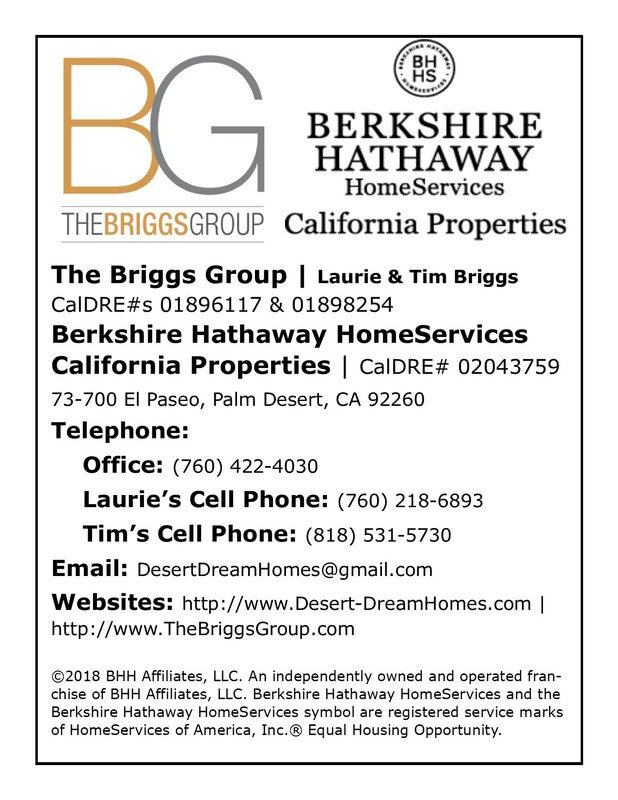 Being offered turnkey furnished (per inventory). Great ability to help cover expenses since short term rentals are allowed. 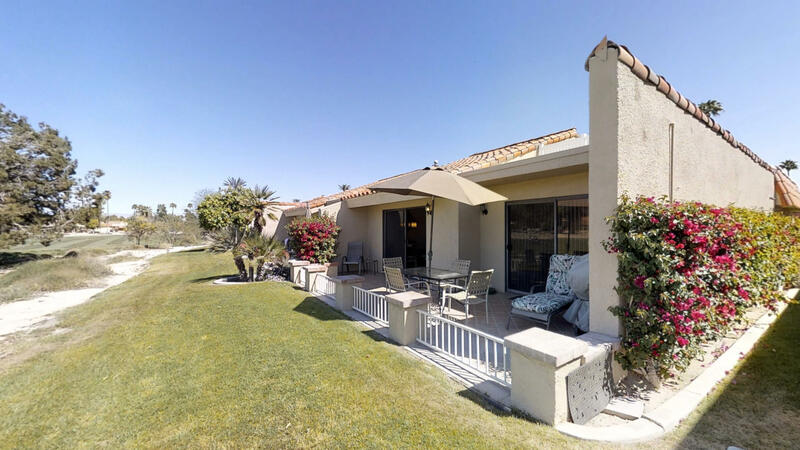 In addition to the golf course, this guard-gated community of 960 privately owned homes has a 42,000 square-foot, full service clubhouse, featuring a lounge, dining room and golf pro shop, 14 lighted tennis and pickle ball courts and 20 community pools and spas.